Less than 2% fat. Creamy & delicious. 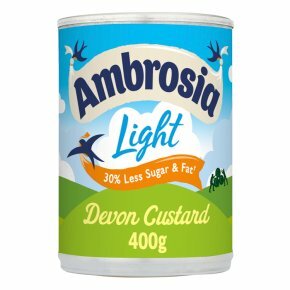 35% less fat than Ambrosia Devon Custard. Source of calcium. 100% natural flavours. No artificial colours or preservatives. Suitable for vegetarians.